Remember when temporary tattoos were found in gum and whatever other snack you ate as a child? 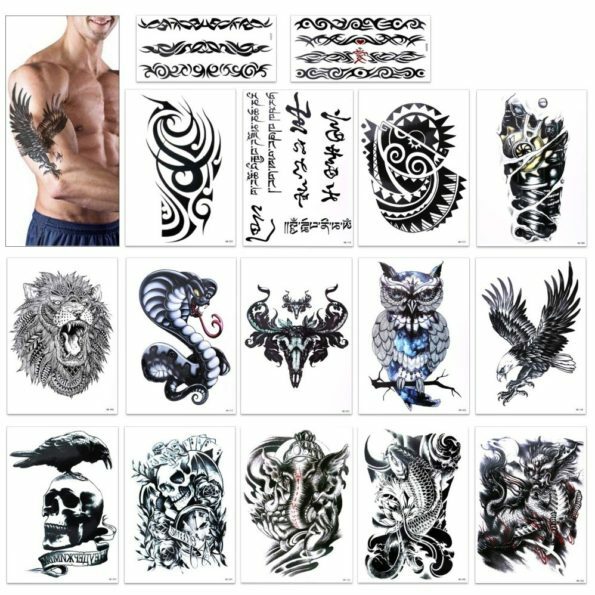 Now there’s a version of those temp tats with cooler, more mature designs. You put them on the same way you would with bubblegum tattoos – lick ‘em and stick ‘em. If you want to put your parents in the hospital, put one of these tattoos on your face and watch as the blood drains from their face. It’ll be hilarious!